As we age, we’re conditioned to expect certain things to happen to our body—our hair might get lighter. Our skin may start to sag. And our bones may get brittle…but they don’t have to! At Denver Upper Cervical Chiropractic, we want to help you stay healthy and strong for a lifetime, and that includes your golden years. 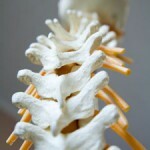 Here are a few ways chiropractic care can address bone degeneration as you age. 1 – As we age, the quality of your bones can change. This can be both due to nutritional deficiencies (like calcium) and the natural aging process. Chiropractic care works to keep your spine in alignment, helping bones to maintain their position and strength as designed. 2 – Strain sets in. Sometimes, age brings weaknesses in our body, and we may tend to favor one side over the other. Over time, this leads to disc strain, where we’re no longer carrying the load of our body properly. When we fall off center, bones can grow out and try to get under that load, resulting in calcified tissue spreading out in an unnatural way. Chiropractic care helps to remove strain to stop calcified tissue before it starts. 3 – Bodily stress grows. Getting older means more stress often gets placed on your body—whether it’s emotional or physical, it can take a toll. When you’re body is dealing with stress, it’s designed to adapt to it’s environment. Chiropractic care helps to keep your nervous system working properly so it can adapt exactly as it needs to. Know someone who could benefit from visiting our practice? Let them know how we can help. We’d love to work with them and help them live their best possible life!